I return today from Alexandria (a city in Egypt) during my stay there I started my new game which I will participate with it in GameCog contest Hope to finish it soon for the competition :). I will give you a hint about it, its a shooter game in a new way. 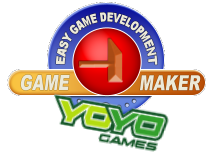 Another thing YoYoGames said that anone whom will buy GameMaker 7 Pro version these days will take a free upgrade to GameMaker 8 free of charge. Another thing I participated by CrytorYan in Experimental Games this month competition 🙂 and now it is consiered as an entry in it. Another Thing about Madness Compo made by QOG I was awarded a prize called “This Would Have Won Had You Not Spent Five Hours On It” (link) and I think thats cool. This entry was posted in Bactoriam, Competition, CrytorYan, Experimental Games, GameCOG, GameJolt, GameMaker, News. Bookmark the permalink. You are in the beta now , lets cheat , you click on my ads and I click on yours , that way we both make each other rich and can quit our day jobs and just do games all day long . nah ! just kidding . But hey , you seem to be all over the place now , good for you , I’m glad that your work is getting attention , you do a good job with your games so you deserve it . No , my site doesn’t support RSS feed , maybe the blogs do but I don’t have any . I don’t know if i will participate in the new compo , I really don’t like to compete and my time to make games gets shorter by the minute , too much to do and to much work , I’m getting home to tired . I’m just making smaller games now and even those will take a wile to complete . I don’t think a compo entry is a good idea right now .